Ventura County Flood Zone 4 has a total of about 225,000 acres divided between three unconnected areas. 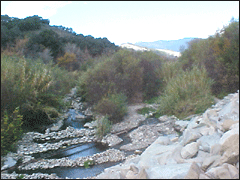 The southeast area (Zone 4 South) includes 61,000 acres of coastal drainages including tributaries to Malibu Canyon (or Malibu Creek), plus areas surrounding Lake Sherwood, Potrero Creek, Westlake Village, and the coastal streams of Deer Canyon plus Big & Little Sycamore Creeks that drain the northern tip of the Santa Monica Mountains directly into the Pacific Ocean. 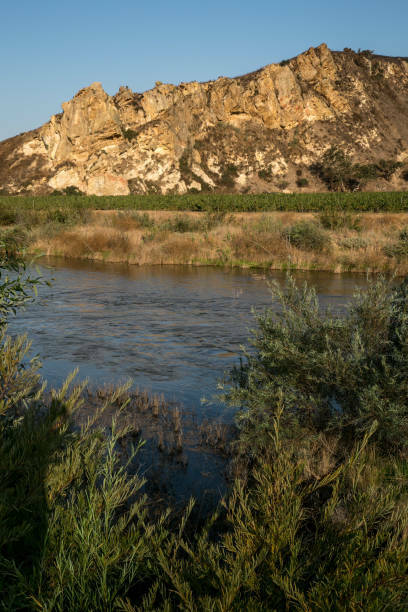 The northwest area (see Zone 4 North webpage) is primarily the watershed of the Cuyama River which covers about 150,000 acres within Ventura County. The remaining 14,000 acres in the relatively undeveloped northeast corner of the District (Zone 4 Northeast) actually drains outside of the County to the north and then to the east (includes Frazier Mountain Creek and Mill Canyon Creek which are tributaries to Cuddy Creek in Kern County – which follows the San Andreas Fault trace before terminating in the enclosed runoff basin called Castac Lake). The northeast and northwest portions of Flood Zone 4 generally only require maintenance activities to protect existing agricultural fields from bank erosion (VCFCD, 1967). 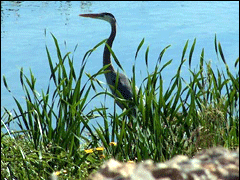 See our Zone 4 North webpage for additional information. The County’s Flood Zone 4 boundaries are overlain by four of the five supervisorial districts in Ventura County. Most of the northeast and northwest portions of the zone are in Supervisor District 3 with a small portion of the northwest area in Supervisor District 1. 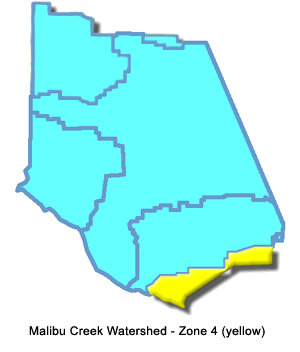 Most of the southwest portion of the zone is in Supervisor District 2, while a small portion is in Supervisor District 4. The climate of Flood Zone 4 South watersheds are characterized by long, dry periods and a relatively short wet period during winter of each year. 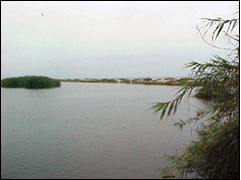 Cool moist ocean winds have a moderating effect on the climate in the watersheds near the coast. Frosts are rare in the coastal region and not uncommon in the inland valleys and mountains during winter and spring seasons. 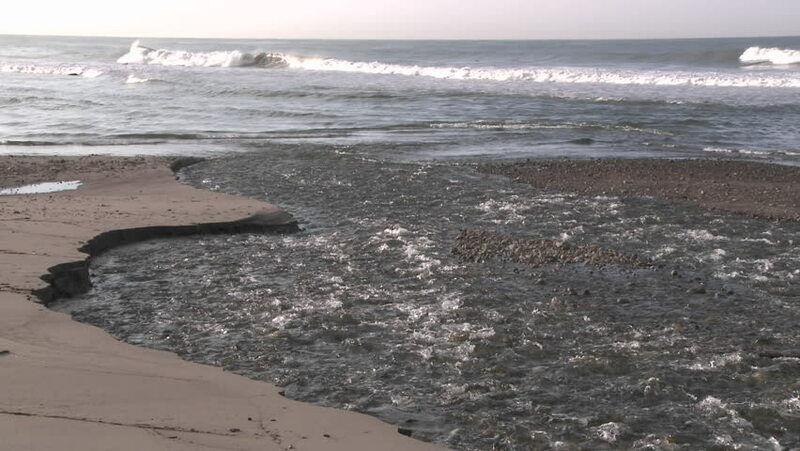 Direct drain-to-ocean coastal creeks located in Zone 4 South include Little Sycamore Canyon, Big Sycamore Canyon, Deer Canyon, and La Jolla Canyon. Precipitation occurring during the winter season extending from November through March is approximately 85 percent of the rainfall total. Mean annual precipitation varies from about 13 inches at the coast to a maximum of 20 inches in the higher elevations around Lake Sherwood, Lake Eleanor, and Westlake which provide recreational opportunities and flood control for this portion of the zone. Southeastern Zone 4 topography is typified by rugged, mountainous terrain with some flatter valleys where mostly residential development has occurred. The watershed is part of the Transverse Range geomorphic province of California. The geologic structures in the watershed are a result of different sequences of sandstones, shales, conglomerates, and siltstones lain down during the different geologic periods, with basaltic flows and intrusives also occurring in many locations. Zone 4 has a total of about 225,000 acres divided between three unconnected areas. 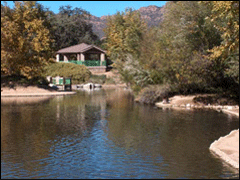 The southeast area (Flood Zone 4 South) includes 61,000 acres of coastal drainages, including much of the developed areas within Malibu Canyon, Lake Sherwood, Potrero Creek, and Westlake.